The New Taiwan Photographic Corp. is a camera maker based in Taiwan. It was founded in 1982. It produces OEM cameras and cameras of its own brand Ouyama, as well as simple tripods. Its main product line are focus-free viewfinder cameras for 35mm film, some belonging to the category sought by toy camera and trashcam collectors. Some are all-manual cameras, some have motorized film advance, some a built-in flash, and a newer line are digital cameras, many with just 1.3 megapixel image resolution. New Taiwan also produced disposable cameras with built-in film. 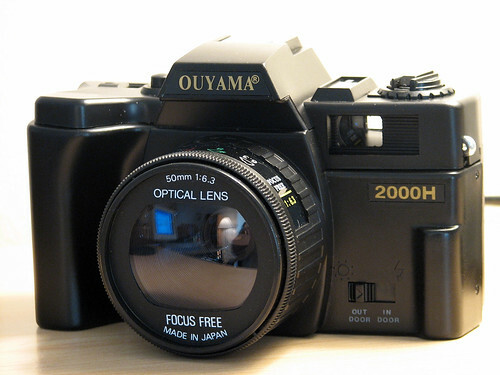 Some of its camera types are pseudo-SLRs. Three waterproof cameras are in the company's portfolio, even a digital one. New Taiwan runs its camera production in a plant in the international industry metropolis Shenzhen, China. Materials for the production are delivered from Taiwan and Japan. This page was last edited on 21 October 2018, at 18:04.